Air Asia Promo Fare 2017: Kickstart the new year with your dream travels! Let this 2017 be the year to realize those #travelgoals! Book our lowest fares here at http://bit.ly/SALEforGreatBeginnings! 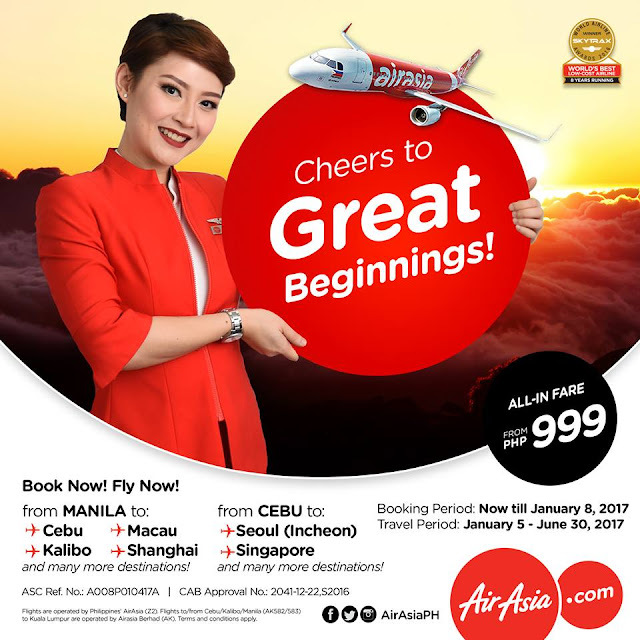 Air Asia Philippines is offering a promo fare starting from Php 999 All-in Fare in some select destinations. 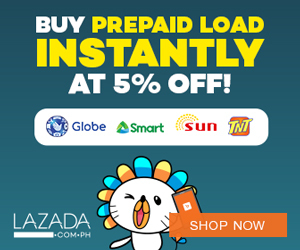 Those coming from the capital of the Philippines, Manila, can avail the promo to a destination in Cebu, Kalibo (Boracay) and an international flight to Macau or Shanghai. Whereas, those coming from Visayas, Cebu in particular, can choose to go to Singapore or Seoul. For those flying from Cebu and visiting Manila, a regular fare of Php 1114 is set for you. But for those coming to Cebu from Manila can take advantage of the Php 999 all-in fare! For some select international flights, there are cheaper fares for those planning to go to Taipei and Kota Kinabalu. Of course, you may check other 5 key cities in Asia that Air Asia flies to from Manila. Hi is there any promo comming up...to travel by end of march?